Schedule Your Free In-Home Estimate With Our Experts Today. Call: 734-421-8800 or click here to complete the online form. Whether it’s for decorative purposes or for protection, colorful and competitively priced awnings will add beauty to your home and protect it from the elements for years to come. 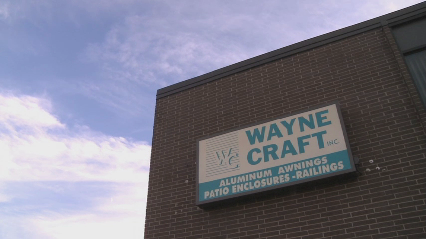 Wayne Craft, Inc. awnings are a perfect way to add shade and protect your home from the damaging effects of the sun's harmful UV rays. Awnings also provide shelter from the elements and redirect water away from your home or business. Aluminum construction guarantees that our awnings will give your home years of service and curb appeal.